One of the areas that we excel in, is in the care and protection of the external surfaces of any building. We have the cleaning knowledge and skills to tackle a variety of surfaces from brickwork to external cladding; we are able to restore and maintain the appearance of your building. This is in many instances an important asset of yours and what helps all visitors with their first impression. 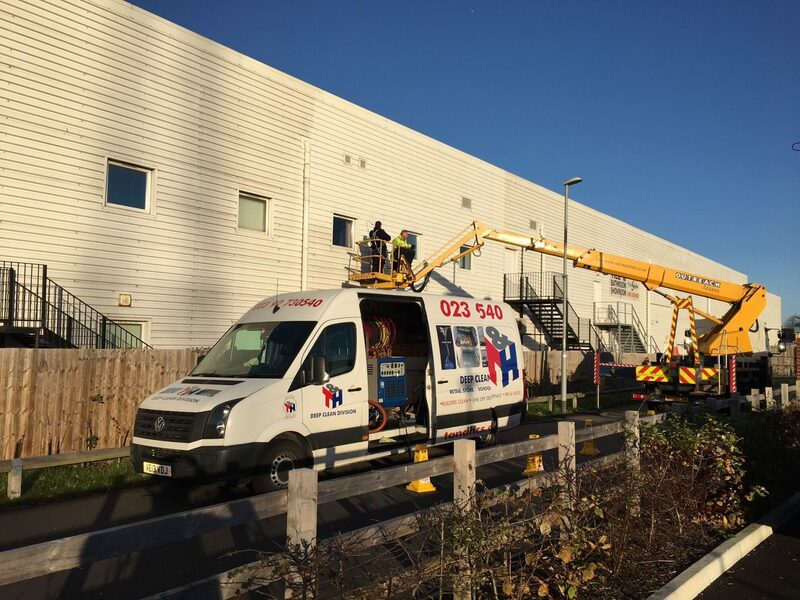 Prior to undertaking any external building cleaning we will work with you to come up with a safe and approved method statement, taking in to account any site specific considerations. 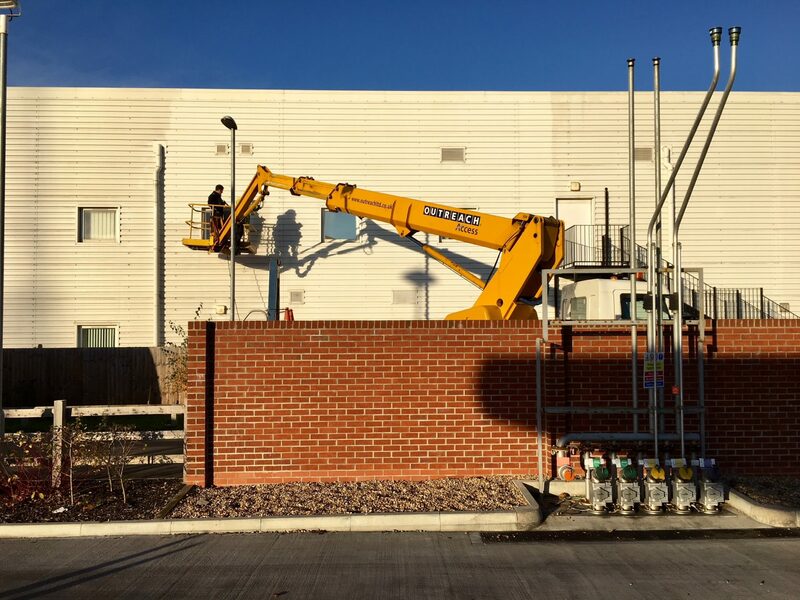 The picture above shows our team safely cleaning the external cladding of this commercial building. You can clearly see the difference we are making to its appearance!